In a recent blog, we outlined the reasons senior citizens are increasingly asking for greater access to their health data outside of practitioner visits. Well, it turns out that our seniors are not alone in this desire to better self-manage their health. A recent study, The 2017 Employee Benefit Research Institute/Greenwald & Associates Consumer Engagement in Health Care Survey, found that millennials will likely have a profound influence on the future of healthcare and telehealth. For this generation, access is key with “40 percent of millennials reporting that telemedicine is an extremely or very important option.” This age group is looking online for all things health related from finding doctor ratings and recommendations to tracking health conditions and healthcare expenses. We couldn’t agree more. Our mission is to bring medicine to individuals where they live. With tools that allow for secure messaging, task lists, educational content and easily discernible charts and graphs, self-managing care is not intimidating. Our care manager interface and patient app simulate an office visit with both parties interacting with the same data in real time. 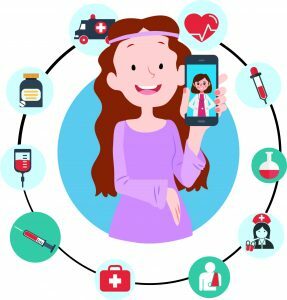 Millenials are researching options before committing in all facets of their lives– including healthcare–and you can be sure they are opting for clinical teams that offer the ease of telehealth and patient engagement. To discover how a software-based workflow for remote care can generate more reimbursement revenue, improve patient outcomes and bring unprecedented efficiency to patient care between visits, register for our upcoming webinar here.